Lead track from the second Solarstone album. In 2008 he produced Rain Stars Eternal, his rebirth 2.0 artist album and in 2009 he imagined and created Electronic Architecture - his IDMA-nominated concept compilation vision. 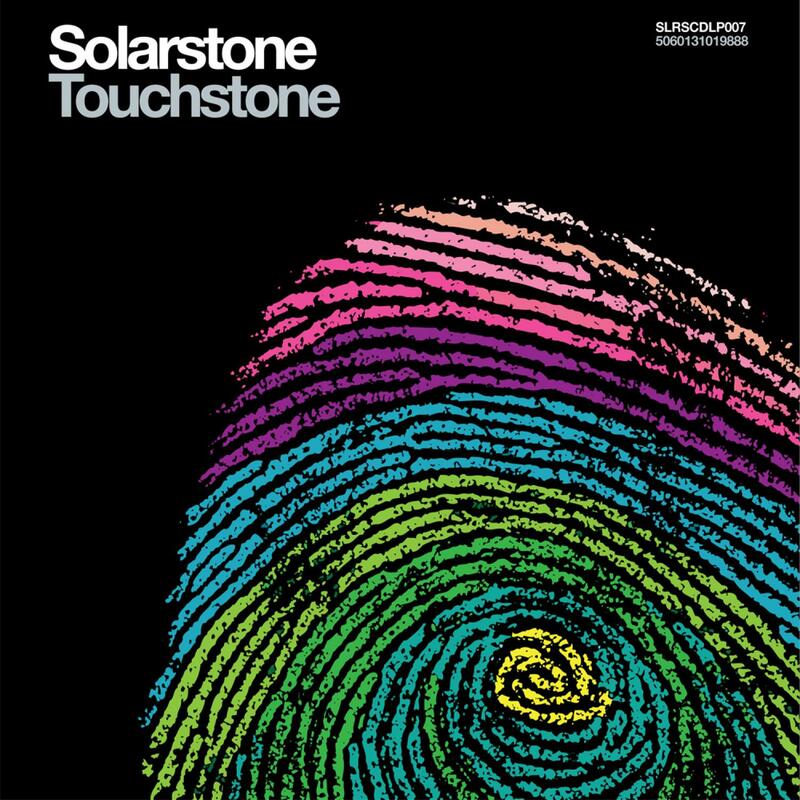 Now, for a new decade, Solarstone returns with… Touchstone. In ways big and small, conscious or otherwise, inspiration happens to everyone, everyday of their lives. Musicians are perhaps intrinsically even more open to it. Lines thick, thin, straight and curved are drawn to productions that span back over many decades... In his own production work, identifying these inspirations, down to their smallest fraction is something that Solarstone (composer, producer, singer & DJ Richard Mowatt) has long been captivated by. Touchstone, his new artist album, brings these inspirations out of the cortex and into the light, 'musically mapping', for the first time, an artist that has at every turn sought to redefine the word trance. As with every album ever produced, influences are there to be picked up on by the listener. On Touchstone though they are first illuminated, clarified and examined by the artist himself. Richard goes on to explain: "To me musical inspiration comes in many forms. It can be artists that I’ve fallen in love with wholesale and still venerate to this day, or simply fragments of music that made a lasting impression at arbitrary points in my life. 'Touchstone' is a culmination of all those inspirations.". As the producer of the first 'Balearic trance' track - Rich, himself, has had first-link-in-the-chain experience of this. Giving an instant musical definition to the album's theme, the epic guitars of the title track (played by Richard himself) will resonate immediately with fans of 'Seven Cities'. Those expecting '11 more of the same' should by now probably know better! The album opens up cavernously in the most unrestricted manner imaginable. With its Bowie-ish undertones, opening track 'Is There Anyone Out There' - vocalled by Bill McGruddy, formerly of arch-indie agitators The Southern Electrics - focuses on the darker side of progressive trance. Melodic, and with a Jon Marsh/Beloved-like lament to the vocals, 'Electric Love' (also McGruddy) builds minute on minute into a floor-devouring colossus. With its slo-mo, beatless chillout factor set 'high', the Pink Floyd/Led Zep leanings of 'Intravenous' are unmistakably worn on its sleeve. To the same extent (but in an entirely different style) so is 'The Best Way's dawn-of-synth-pop partiality. Back at the higher end of Touchstone's tempo-scale, 'Slowmotion' (featuring Finland's Orkidea) is quite possibly the ultimate classic Sasha / Digweed Renaissance track for a post-millennial audience. Creating an authenticity to the sound (one that, pre-listen, is impossible to envisage), it perfectly captures the deep, throbbing subterranean progressive of the early Nineties. Breaks (as ever on a Solarstone album) are fully represented by the plucked string majesty of 'Ultraviolet' and the orchestral hit of 'Twisted Wing' - both ready to keep the broken-beats contingent well-fed & watered. Fans will no doubt remember that the original mix of 'The Last Defeat' featured as 'Rain Stars Eternal's dénouement. Last year Solarstone decided that the track could be further developed and added to it with major new Namlook & Primal Scream influenced sequences. He then pulled off a collaboration coup of quite some magnitude by tracking down electronic music doyenne Lucia Holmes. After some degree of coaxing, the legendary singer agreed to a return and has delivered an enthralling vocal aspect to create 'The Last Defeat Pt 2'. In doing she has given the track that organic decade-hopping Sunscreem touchstone, and an increasingly meditative edge. Much is likely to be said about 'Touchstone's parting shot - a 'down the rabbit-hole' moment if ever an album had one, 'There's A Universe' throws a warm backwards glance at British guitar bands past. Albarn meets Anderson, Blur meets Suede (albeit for a new generation) it will create many a sun-splashed mind’s-eye picture of anyone age enough to have gone through a festival turnstile in the 90s. 'Touchstone' is an eyes-wide-open reaction against the disposable nature of digital-only electronic music and one that is designed to live a long, healthy life in the CD collections of open-minded music lovers around the world.